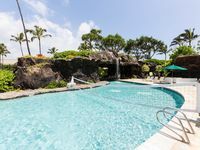 Just three minutes' drive from Lihue Airport and right beside the Kauai Marriott Resort, JJ's Broiler is a family-owned restaurant that prides itself on offering good quality food, an outstanding service and a warm welcome. 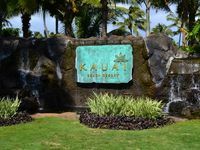 The cuisine is primarily American and local Pacific Rim fare, with considerable emphasis on island-inspired steak and seafood. 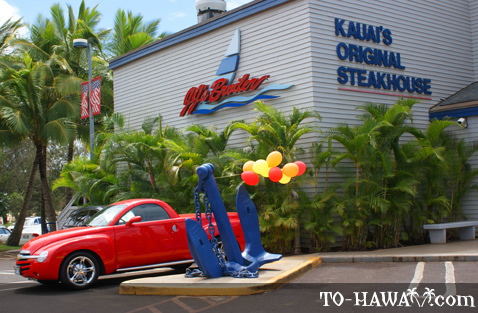 This restaurant is known for its large and hearty portions, all served in the Aloha spirt of friendliness and hospitality. 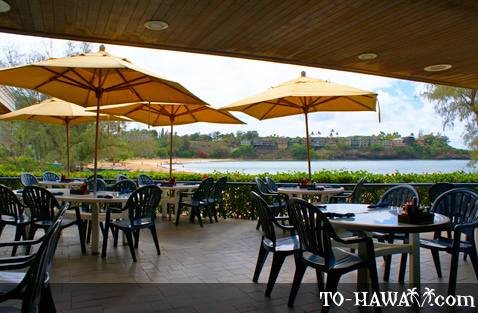 There is an outdoor terrace area overlooking Kalapaki Bay from whence diners can enjoy great views of Kalapaki Bay and the ocean. Initially opened by Jim and Mary Jasper in 1967, JJ's Broiler is now run by the couple's children and grandchildren. The menu offers a wide variety of salads and grilled entrées with a view to offering diners healthy eating options. The island fish is freshly caught, the green salads are freshly prepared, and the prime rib is top quality. 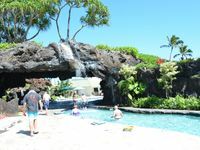 In addition, the menu offers a selection of pastas and is famous for its award-winning Slavonic steak, which the restaurant has given permission to be featured at other eateries around Hawaii. 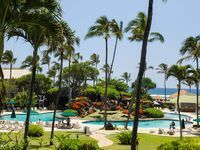 The drinks menu includes the restaurant's famous Mai Tais, which can be enjoyed on the terrace overlooking the ocean or in the sports pub at the full-service bar where visitors can follow their favorite sports events with friends and loved ones. The bar has nine flat-screen televisions strategically placed throughout for this purpose. The winner of many awards and accolades, JJ's Broiler is open seven days a week for lunch and dinner. Opening hours are from 10.30am until 10.00pm. Lunch is served from 11.00am until 5.00pm and dinner from 5.00pm until 9.00pm. There is a daily happy hour in the bar from 3.00pm until 5.00pm. The restaurant has the facilities - a dining room on the second floor - to cater for large parties of over 100 guests and, as well as the eat-in option, large take-out orders to accommodate parties and business meetings are welcome.